Fishing is far more than just catching fish. It’s a chance to learn patience, stealth and an opportunity to be in the great outdoors and close to nature, and away from urban noise. But it can also be better for your physical and emotional well being than you might realize, and we are going to explore that aspect in this article. So what is so special about angling? Whether the sun is out or its cloudy, there are great health benefits of gaining Vitamin D. This is essential for the strength of your bones and teeth. Carrying your gear along the bankside is also a healthy workout for your heart and lungs. 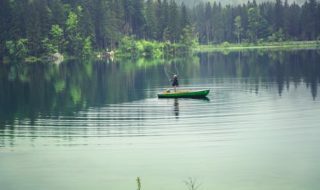 It is common for fathers to take their sons and daughters fishing, giving them rare quality time away from the TV, phone, tablet or gaming console. The great outdoors environment and fresh air perfect for gathering your thoughts, calming nerves and ultimate helping you sleep more soundly. Scientifically, it is proven that the mind changes for the better when you exposed to nature. Levels of concentration improves too. Now we can look at the advice from the pros about improving your actual fishing. Weather is unpredictable, but you can make it work for you. Thrown in some floating baits and see where they end up. There will very often be fish in these downwind margins. If you are predator fishing for species like pike on stillwaters in winter, look to the areas most sheltered from the cold winter easterly winds. Wind can also stir up the bottom at the downwind end, which gives fish safety from predators. Although so called ‘dirty’ water is no good if you are lure fishing. A big bait does not always mean big fish. 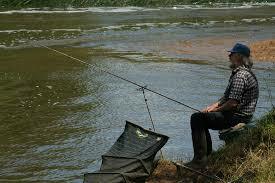 If you are struggling, go the other way and try a smaller lure, bait, hook size and a lighter line. Lure anglers should also alter the retrieve rate and keep switching lures if they are not getting takes. Luminous colours can work well if there is colour in the water. Have a variety of sharpie pens with you in various colors, including colours that will help your lures look more like a wounded fish. 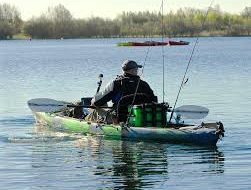 If you are drift fishing from a boat you should always have some weedless lures with you that allow you to cast into reeds and lily pads and retrieve without snagging up. Weedless lures carry a single rather than a treble hook, with a guard over the point. 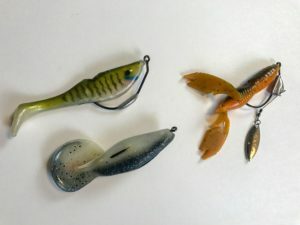 They come in both surface lures for topwater fishing, and sinking lures for working through underwater snags which predators like bass, zander and pike love. A lot of beginners struggle with line twist. Make sure you there is a swivel in your rig set-up, either at the lure or between your mainline and the trace. Apart from working on the skills mentioned above, you are going need decent equipment to have better results. 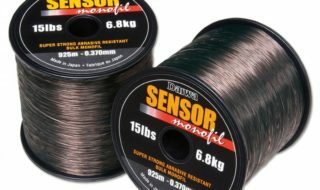 For this, you will need quality sounders, also known as top fish finders. These can help you locate underwater ambush features where predatory fish like to hide, waiting for prey fish to pass. Fish Finders work using sonar technology by detecting pulses which bounce back off the bottom, off features and also can locate large fish or groups of fish in this way. Some uses GPS. To know you are buying a quality fish finder look at the following two key features. Protection from glare makes the reading easier on the screen during bright sunlight. On fish finders with this facility, the screen has backlighting which shows up in low light and dark fishing conditions. Fishing is an incredible sport enjoyed the world over by young and old and everyone in between. Start with these tips from pros and let your skills develop as you fish more. Tight lines!